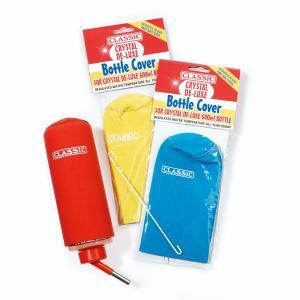 The Classic Bottle cover is made from Neoprene, provides protection from sunlight, which contributes to the growth and build up of Algae and other bacteria. It will also help to regulate the water temperature, providing cooler water in hot weather and reducing the risk of freezing during winter. Please check your pets' water bottle daily. Suitable for Crystal De-Luxe 600ml Water Bottles. Avaliable in Blue, Red and Yellow.